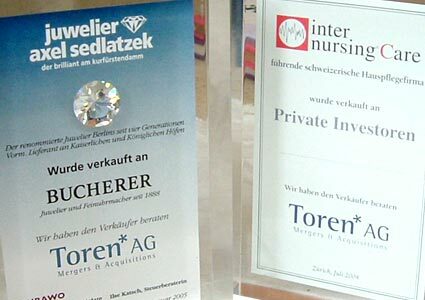 Toren AG // Financial tombstones (lucite) design and production for Toren AG.Toren AG is a finance company, located in Switzerland. The company is specialized in Mergers & Acquisitions and traditional corporate finance services. See also in identity and screen.